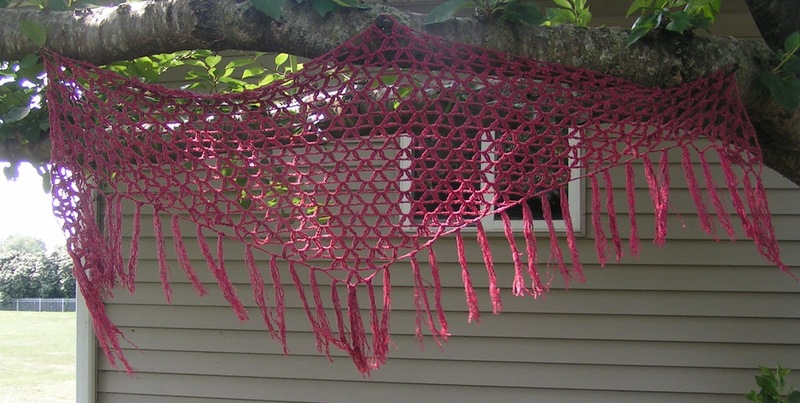 using some red yarn that I've had for ages. Mine isn't as full as the picture, but I really like it. Yeah, I'm in jeans today. I've been feeling kind of down. Today is the last day of J. C. Penney in town. It's the latest in a long like of businesses that have closed up. This town seems to be dying. We even had a thrift shop close - that can't be a good sign. I've been moody, too, and I'm blaming it on the upcoming eclipse. I mean, if a monthly full moon can make people crazy, a full solar eclipse must make us insane...that's my excuse, anyway. Joshua has been trying his best to cheer me up. If I'm sitting, he's on my lap. I appreciate the effort, I must say. That's all for the end of July. Happy birthday, Harry Potter! Have a great week, everyone! 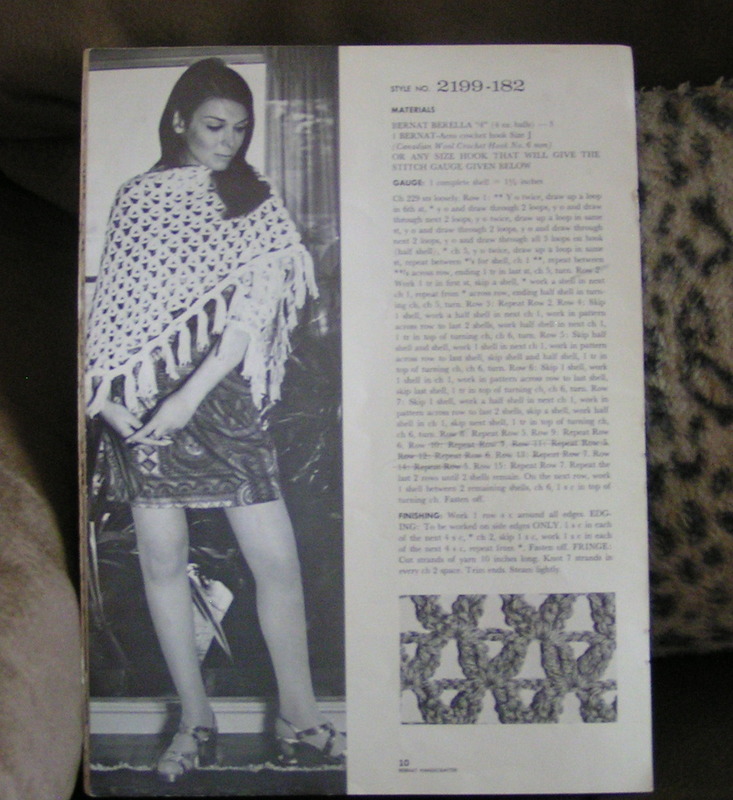 I have two that my mum crocheted around the time your pattern was published-we should have a shawl-link up on the blogs...I'll bet there are a lot of them out there! I don't know if you're in the totality path, but we are, and it WILL be madness here on the roads, etc. with all the extra visitors. That alone is making me moody. I hope you're back to yourself soon. I'm sorry to hear your town is facing that fate. 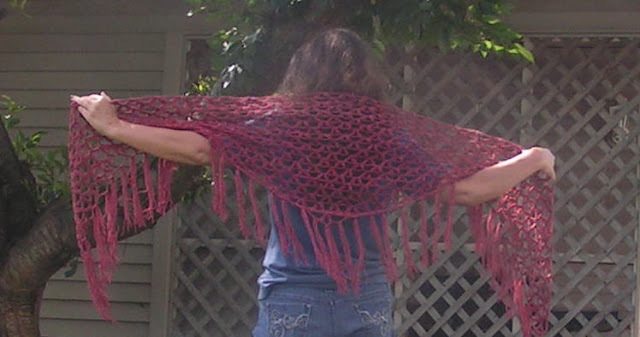 That's a fabulous shawl! I do wish I could master crocheting, my Mum was a whizz at it. I thought you were British Bobbi! Isn't J.C Penney an American shop? I'm sad to hear you are down. I always feel desperately sad when shops close down. It feels the end of a time and an era. That happened in my childhood town. Your shawl is a great testimony to your fandom. I love it! Hope you are well! Your mushroom story sounds yucky- wild mushrooms bleurgh!! !